Bullies thrive on exploiting the vulnerability in others. Instead of protecting those who are in a weaker position they take advantage of them. They revel in having the upper hand. They don’t play by the rules or believe the rules apply to them. Bullies don’t think twice and lack the capacity for reflection. They are fearless, tearless, immature, and have to get their own way. They do not adapt when they face futility – they cannot hear ‘no’ and accept it. Bullies are dark inside, there is a void where vulnerable feelings are no longer felt. This costs of bullying to our children, teens, schools, and larger society are staggering. Stuck kids can grow up to be stuck adults. The interventions that have been launched to curb bullying have come up short. Nothing seems to work long term, yet the costs continue to mount. The bully continues to baffle us. With incredulity one looks one at their acts of cruelty, the ineffectiveness of punishment and consequences, as well as their lack of empathy. They remain a mystery and what drives them remains impervious to change. The challenge is we cannot solve a problem we don’t understand. One of the reasons we cannot make headway on bullying is we fail to make sense of the bully’s vulnerability problem. A bully’s emotional system has become inhibited and they no longer experience a range of vulnerable emotions from sadness to joy (1). They lack empathy, caring, and consideration. Some studies have found bullies even lose the capacity to blush with embarrassment. They don’t show remorse, gratitude, or forgiveness. The human emotional system is meant to be responsive to one’s environment but if feeling sets someone up to get hurt too much, the brain will naturally start to inhibit the experience of these emotions. Emotions go missing when they would get in the way of surviving a wounding environment. In other words, bullies lack caring because to care sets them up to get hurt too much. Bullies have hardened hearts. Their brain has moved to defend them from seeing their own vulnerability. This renders them devoid of caring and responsibility. They are numbed out, tuned out, and in some cases, detach altogether from human relationships. Bullies are deeply wounded individuals which is ironic considering the wounding they create in others. All the time we treat bullying as something that has been learned, we miss the emotional piece that underlies it. 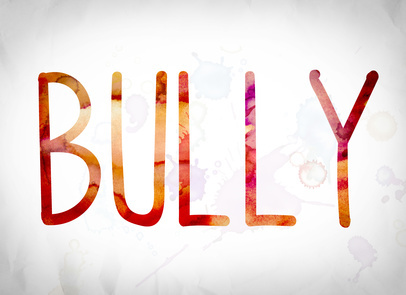 Bullies are in a flight from vulnerability and cannot tolerate anything that would signify weakness in them. They project onto others what they are most defended against in themself. Bullies are psychologically very fragile. The problem is their lack of vulernability does not draw out the caring in others. Their inhumane acts often draw the bully out in us. The reason for the emotional defenses in a bully can be many, from feeling too much separation from the adults that they are attached too or feeling too much shame or a sense of unsafety. Separation can be experienced either emotionally or physically, but can include when a parent does not have the heart of their child or that child has to work for parental love and approval. When a child feels there is something wrong with who they are, often as a result of repeated messages by attachment figures or peers, it can create havoc with a child’s emotional system. There are many reasons for hardened hearts but what is clear is that their ‘caring’ has gone missing. There are a number of problems with bully programs today. The challenges largely stem from not understanding the root of the vulnerability problem of the bully. While good intentions may drive the following interventions, they can exacerbate the bully dynamics and increase the chance of wounding towards others. A focus on what happens between kids – A popular intervention when bullying has taken place is to have children share their experiences with each other, highlighting how they have been hurt. Well intended as this approach is, it is aimed at using emotional honestly as a tool for change. The problem is that bullies do not have soft hearts and are likely to use what other children say against that child to hurt them. If the modus operandi of the bully is to exploit vulnerability, this type of approach places another child front and center for being attacked as a result of revealing how they were hurt. Consequences and punishment – While consequences and punishment need to be part of many settings such as schools and workplaces, they are largely ineffective in changing the bully. Consequences teach when someone can face futility and emotional vulnerability is restored. One needs to feel sad about what does not work in order to learn what does work. Bullies don’t feel sadness given their muted emotional system – consequences and punishment are rendered impotent against this problem as a result. Sensitivity or empathy training – The idea that we can teach a bully to have a soft heart fails to understand how the emotional system works. Emotions are meant to be felt vulnerably and move someone to care, to caution, to be considerate, and to have courage. You cannot make someone learn emotions, you can only help them feel them. When you try to teach a bully to be more sensitive to other people’s feelings and to respond with empathy, you can actually make them more effective at exploiting people emotionally. How to Soften a Hard Heart? If being too hurt is the problem for the bully, then caring for them is surely the answer. The challenge is that bullies are so wounding towards others that they draw little compassion out of others to care for them. The good news is that every bully can be made human again but the answer lies in bringing the emotional system back online and resuscitating it. The focus will need to be on building a caring relationship with the bully. This is easier when the bully is a child or a teenager and requires at least one caring adult who is willing to try and forge a strong connection with them. The adult will need to invite the child to depend on them, to take the lead in caring for them, and convey that they can handle the child. 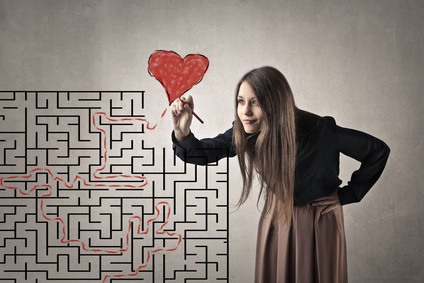 When issues arise it will require being firm on behaviour but being easy on the relationship. Bullies are brought into relationship with others through a strong caring stance. Emotional defences in the bully can be softened when right relationships are achieved and will require leading them to more vulnerable feelings, shielding their emotional system from further wounding, and reducing harm wherever possible. The softening of hard hearts takes patience, time, and good care taking. When a child lacks emotional vulnerability then the adults in their life can move proactively to prevent further wounding to others. This means good supervision and the implementation of structure and ritual to guide their behaviour and keep them out of harms way. We would prefer to think that the bully is someone that exists outside and is separate from us. The problem is that the bully can emerge from each and every human being. When the heart goes cold and when our caring feelings go missing, it is then we become inhuman and can act inhumane. It is the lack of vulnerability that is at the root of the bullies problem, and is indeed a problem for us all. The challenge is how to keep our hearts soft in a world that seems too much to bear at times. (1) For more information on Making Sense of Bullying, please see the course with this name available through the Neufeld Institute – www.neufeldinstitute.org.